Fires in vehicles equipped Theta II GDI engines being looked at by Connecticut and other states. 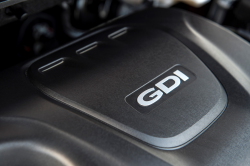 March 18, 2019 — Theta II engine fires in Hyundai and Kia vehicles are under investigation by Connecticut and other states for allegations of deceiving regulators and consumers. Connecticut Attorney General William Tong said his "office is one of the leaders of an ongoing multistate investigation into deeply troubling reports of spontaneous fires in Hyundai and Kia vehicles." However, Mr. Tong didn't name the other states and said he is "unable to share details of the ongoing investigation at this time." The investigation will focus on fires in vehicles equipped with Theta II gasoline direct injection (GDI) engines that have caused hundreds of fires in the U.S. Tong says multiple fires have occurred in Connecticut, including in vehicles that were already repaired during recalls of Hyundai and Kia vehicles. The fires may occur spontaneously and without impacts from collisions, in many cases burning the surrounding structures. Drivers also report being waved down on highways when other motorists see flames and smoke coming from the Kia and Hyundai vehicles. According to Theta II engine complaints, some drivers said their vehicles stalled or hesitated before they saw smoke coming from the engine compartments. Illuminated engine warning lights have also been listed a signs of fires under the hoods, problems that have caused Hyundai and Kia to recall more than two million vehicles since 2015. 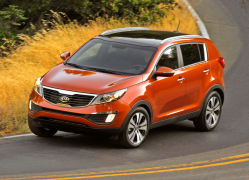 In addition to recalls, researchers with the Highway Loss Data Institute and the Insurance Institute for Highway Safety found Kia and Hyundai models equipped with Theta II engines have higher rates of non-crash fires compared to similar vehicles from other automakers. 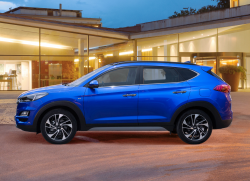 Overall, investigators determined turbo and small engines are at higher risk of fires in all vehicles, but the Hyundai and Kia vehicles still showed more dangers. For all midsize cars, the 2011-2013 Kia Optimas and Hyundai Sonatas suffered more non-collision fires compared to other automakers. 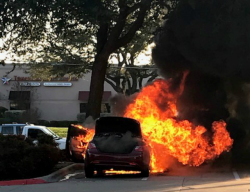 And the same thing applies to midsize SUVs with 2011-2015 Kia Sorentos, 2012 Hyundai Santa Fes and 2013-2014 Hyundai Santa Fe Sports showing higher claim rates for non-crash fires than other automakers. 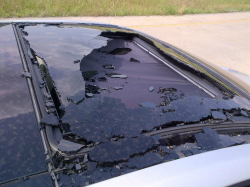 Read complaints sent to CarComplaints.com about some of the vehicles under investigation.